Two weeks ago we drove to Yosemite to enjoy some fall color and a relaxing weekend. On the way we stopped at Wassama State Historic Park and found a gently sloping site with topography that steps down to the south. 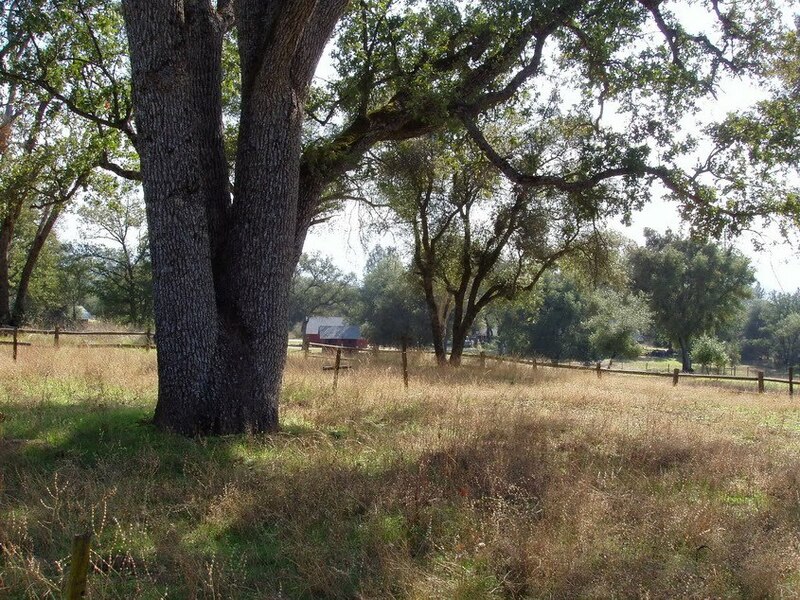 It is an oak-grassland with a few tall Valley Oaks (Quercus lobata) and other trees. The park is surrounded by a split-rail fence and beyond the park boundary there are rural, private properties. The distant view of hills, clad in Oak woodland is likely much as it would have been during the time that Native Americans used this site, when the roundhouse was originally built. 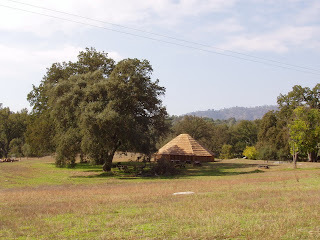 The main feature of the park is a 40-foot diameter roundhouse, actually an octagon-shaped building, that is sited on a level area of open grassland, adjacent to two mature oaks that shade the structure and a picnic area. The roundhouse has pine board siding, and a new shingle roof with a smoke hole. 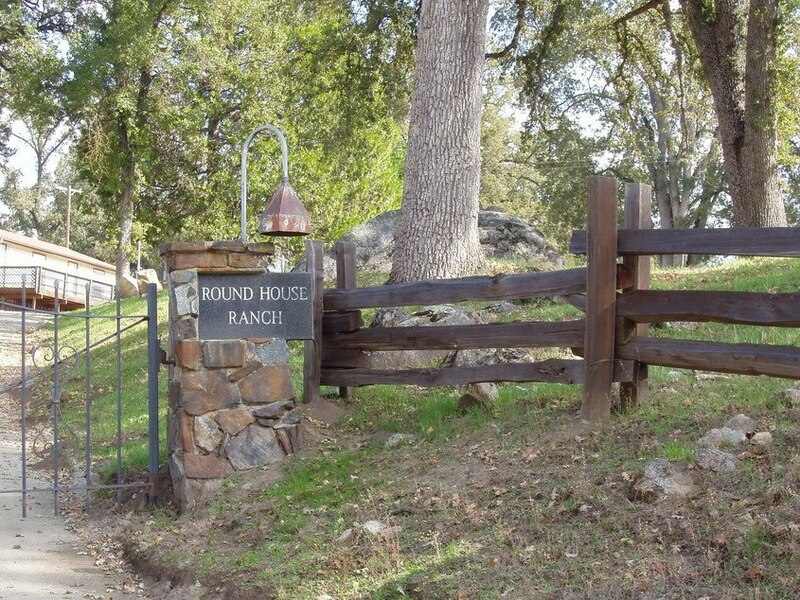 The original roundhouse was a semi-subterranean building constructed in the 1860s that was used for ceremonial purposes by the Southern Miwok tribe of Native Americans. The site was known as Wassama Village meaning Falling Leaves. This structure was burned in 1893 by the native people, in honor of their leader upon his death – in keeping with tradition. Near the high point of the park, on the north side, there is a small burial plot (approximately 100’ x 60’) defined by a split rail fence with two horizontal members. 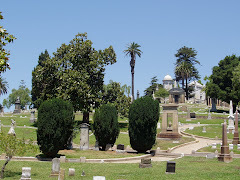 Access to the cemetery is through openings on the west and east sides – there are no gates. A very subtle, eight foot wide dirt path, marked with rocks, leads to the west opening. One large oak at the center, casts shadow over most of the cemetery. The ground surface is covered by non-irrigated grasses and is without formal paths. Most graves are unmarked while a few have simple wooden crosses, and fewer still have upright or flat stone monuments. The third feature is a grinding stone. This low, broad stone has more than 30 mortars of varying depths. 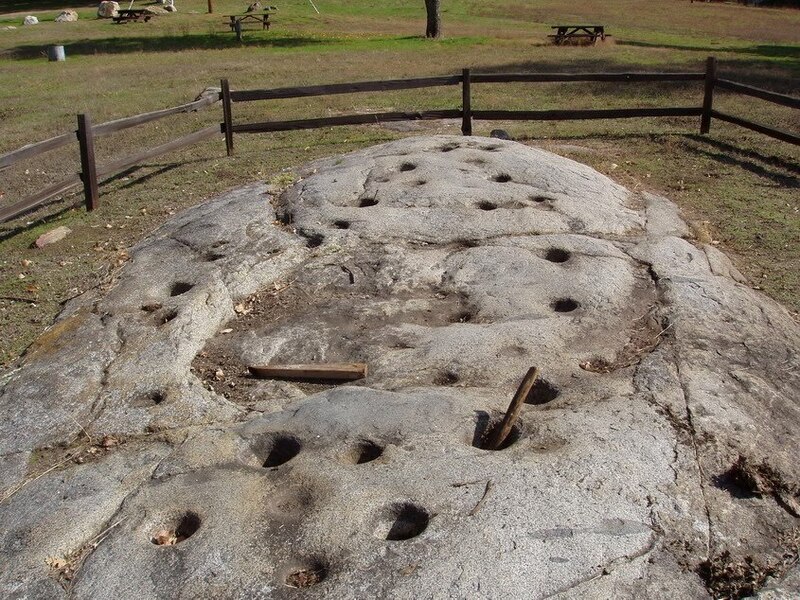 The layout of the mortars forms an oval shape within the oval shaped stone. Wassama Roundhouse is California Historical Landmark No. 1001. It is located in a beautiful part of California’s foothills and is worth a visit.